Observation - Small Bee - id requested - UK and Ireland. 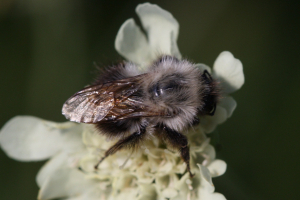 Description: Small bee feeding on Scabiosa ochraleuca. Small bee feeding on Scabiosa ochraleuca.